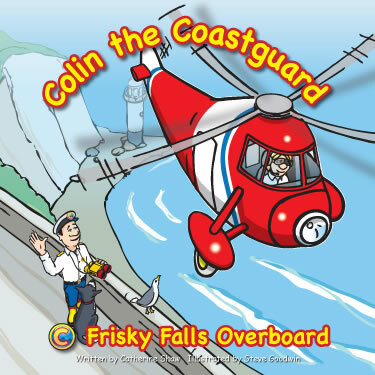 Introducing Colin, our courageous coastguard hero, his dependable dog Rocky and Slippy their seagull friend! 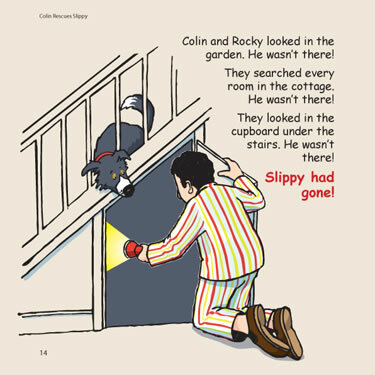 For a personalised copy of this book, signed by and with a message from Steve Goodwin the illustrator, please enter the name you wish to be written in the box below. 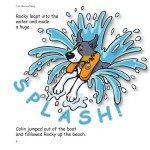 The book has 28 full colour pages (210 x 210 mm) including a stiff, durable, gloss laminated cover. 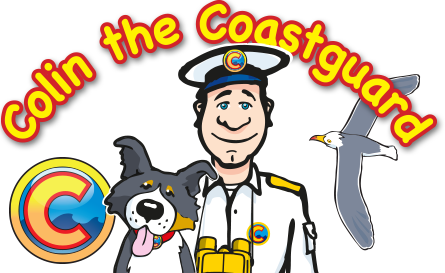 Introducing Colin, our courageous coastguard hero, his dependable dog Rocky and Slippy their seagull friend! 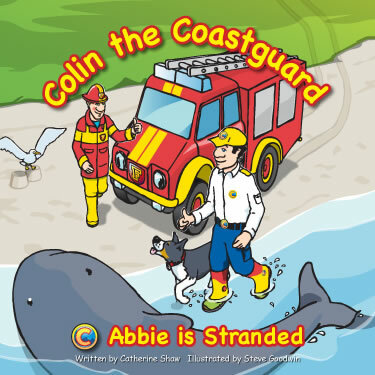 Rescued by Colin and Rocky from a sticky situation on an oil polluted beach. How did Slippy gain his name? Why did he disappear? Where is Slippy? The search begins! 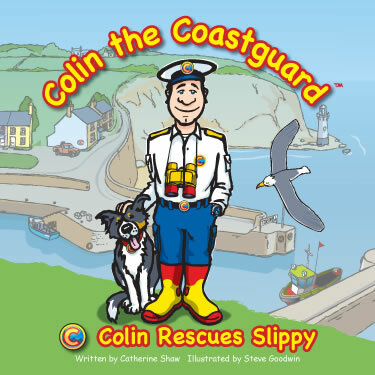 Imagine soaring on the thermals and swooping over the ocean with Slippy, in breathtaking illustrations. See how kindness is rewarded and enduring friendships are forged. But not before some nail-biting moments! Now relax! 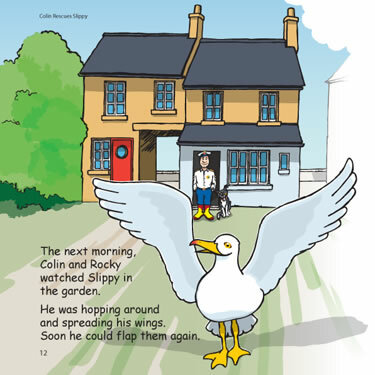 Enjoy the tranquil, twilight, final colour spread which youngsters will return to time after time the exciting and captivating world of Colin, his friends and the seaside village of Tideswell. 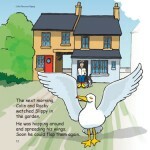 Free postage and packaging on all UK orders for three books or more. Postage and packaging costs are calculated at checkout. For bulk orders please contact us at <a href="mailto:books@kittiwakeproductions.com">books@kittiwakeproductions.com</a> for a quote.